In buying Deutsche Bank's U.S. wealth unit, Raymond James is well-positioned to attract boutique advisors just as many boutiques are closing, recruiter Mark Elzweig says. CEO Paul Reilly of Raymond James. Raymond James’ announcement Thursday that it is acquiring the U.S. private wealth business of troubled Deutsche Bank confirmed industry speculation. But it did a lot more than that, according the firm and industry experts: It gives the firm an additional channel to offer to recruits, one focused on high-net-worth investors who want to work with a boutique. The unit – which will be branded Alex. Brown — has a total of about $50 billion of client assets and $300 million of revenue. This means its advisors have an average level of production (or fees & commissions) of $1.5 million — putting it way ahead of Merrill Lynch, for instance, whose reps average $1 million in production. Raymond James (RJF), which has about 2,500 employee and 3,500 affiliated independent advisors, confirmed the deal means it is adding the boutique option to the “Advisor Choice” list of offerings that it shares with potential recruits at wirehouses and other broker-dealers. As part of the deal, the advisors staying with Alex. Brown — and those joining it — will have access to equity syndicate flows, equity research and “a high array of high net worth support services for many years,” Raymond James CEO Paul Reilly said during a call with analysts on Thursday. They also maintain their ability to use an institutional trading desk. 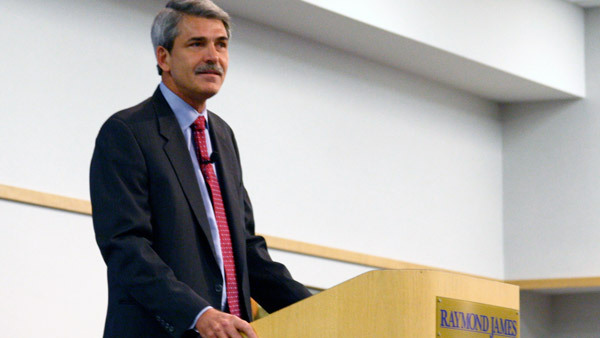 Raymond James says it expects to pay 1.4 times revenue for the acquisition, or $420 million. About 70% of this, or nearly $300 million, will be spent on seven-year retention agreements. Assuming these packages are offered to all 200 advisors, that represents a $1.5 million retention deal for each Deutsche rep. Along with the high-net-worth focus of the acquisition, the St. Petersburg, Florida-based firm is also upbeat on the geographic presence it brings.